James Tarr and Richard Nance offer advice on choosing and carrying a folding knife. J. Scott Rupp reviews the Ruger GP100 chambered in .44 Special. 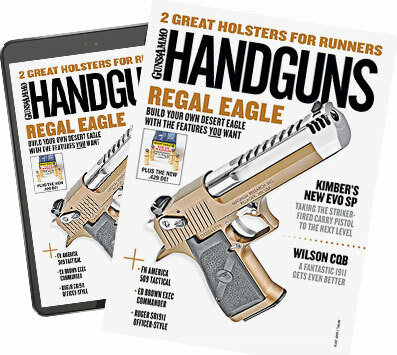 James Tarr and J. Scott Rupp highlight handgun options for home defense and concealed carry. In this tip Richard Nance discusses how to deal with recoil. Richard Nance reviews the Doublestar ARC, or Always Ready Carbine rifle. Richard Nance and James Tarr discuss the new affordable Oops Kit from Doublestar. Jessica Nyberg and Richard Nance argue the merits of striker-fired pistols vs. 1911s.